Nearly every area of the world in conflict today involves RELIGIOUS differences. Same for terrorism. That's because normal god-fearing folks have already deposed most of the atheist regimes, who killed more than all the religions combined! When God got done with his TORTUROUS DROWNING killing spree, there were only 8 people left. Atheists never did anything REMOTELY close. Try again. Or don't you consider the Bible a RELIABLE source? "Christ" is a theological term...and theology made by men is what the church has been faithful to. It is too bad that they has NOT had the same faithfulness in following the teachings of Jesus like the commands to love. You got that right! Have you seen what they've been up to in Uganda? "Jesus came to set the captives free...healed numerous handicapped and made women a centrerpiece of his ministry." lol. Have you actually read a Bible? Tell me where Jesus condemns slavery. Slavery is condoned in the NEW TESTAMENT as well as discrimination against women. Don't reference a Bible if you haven't read it. You remain clueless and a Christianphobe. and made women a centrerpiece of his ministry. Your bigotry toward Christians and celibate gay Christians is obvious. Repent now before you join others in the abyss. Speaking of genocide, the Bible says that when God got done TORTUROUSLY DROWNING people, there were only EIGHT people left on the face of the earth. 100,000,000 killed by atheist/liberal heroes in the 20th C.
Fun Fact; Most atheists don't support slavery and discrimination against women and the handicapped like the Bible does. It's a good thing there is no "man in the sky" telling them what to do or not to do. They concoct their own insanity and demise. Saraswati \ Cpt Obvious: Read your comments and the two of you took the conversation in the direction I have been trying to move it all long. A very intelligent one BTY. One point I see is that in the case of a religious objection (the flower women) or a racial one (the sewing shop KKK), the primary reason for refusing service would be feelings. I.e. no monetary harm is caused to either party other. The refusal is based only on feelings. If one feels the law shouldn’t care that the flower women’s feelings are ‘hurt’, why should that same law care that the sewing shop women’s feelings are hurt. Like the both of you I understand why one would like to allow the sewing shop women to refuse service, but I don’t see how that would be equality under the law (in this case the KKK members seeking equality under the law). Hmm.. I was actually trying to bring light to the issue that many atheists are just as hypocritical and shrill and self-serving and reactionary as many Christians are and that if the KKK article had been posted instead of the florist article many atheists would have the opposite opinion and not have a second thought as to the consequences of their thinking in the case of the florist, now. @Cpt. O – you say on previous page "My guess is that about 80%-90% of the same atheists and "rational thinkers" on this site would have the OPPOSITE opinion and be speaking out just as loudly that business owners should HAVE the right to refuse service to that group of people public opinion is against." I just disagree, I think there would be those who would but the numbers would be much much lower. I for one have no problem with the law that say's we cannot discriminate. That is why the KKK get a parade in some town's even though there might be a majority who would vote against it. It's the founding principle of this country. We must fight to protect all beliefs or we ourselves become what we dislike most, hypocrites. The members of the KKK should have every right to believe what they want, they just better not be denying a sale from their public store to someone of color. Now if that KKK persons beliefs are so strong that they do not even want to deal with a black person, then they should either quit working at a public store or get another employee to help the customer, but to close the business to the person based on skin color just cannot be allowed. The flower shop owner should have said "My assistant will be doing the flowers and delivering them as I have a personal religious belief that will not allow me personally to participate." and if she has no one else working with her she could have said "Since my personal belief limits me from participating I have brought in a temporary hire to assist them with all of their needs". @Obvious, I agree with Just that you seem to be overestimating the reaction, but we can't know without a survey. As for those who would like to see a difference legally, I suspect that a large number would have some arguments behind that decision, while others would simply be inconsistent or have not thought out the implications fully yet. This isn't my first merry go round. I've seen it in practice too many times and I believe that the average atheist is just as "religious" in his opinions and just as prejudiced against those that disagree with him as the average Christian. People lie on surveys. I'm stating that if the KKK story had come out instead of the florist's story, most atheists would not be giving it a second thought that they supported the freedom of the business owner to choose what clientele she prefers to serve. Oh, there'd be one or two atheists like Me II and I'm Sorry Dave I can't Let You Do That who would bring up the opposite opinion, but it wouldn't be but one or two. And I think the reaction to those posters would be about the same as here. The same folks would be saying the opposite thing: "Well, that's the breaks. The law shouldn't force this little old black lady to sew costumes for Klansman and so it shouldn't force a fundie to serve gays either." Maybe I'm being too cynical, but it's bothersome how quickly most atheists jumped into the discussion as if there was nothing worth considering on the other hand. And I've seen almost as much hypocrisy from atheists as from Christians, and to be honest, atheists are MORE likely to bully and castigate and deride individuals who disagree with their viewpoint. I value my commitments to my non hypocritical Christian acquaintances far more than my commitments to my hypocritical atheist acquaintances. Many atheists are just as blind as many Christians when it comes to their own biases and preconceptions. Sexual orientation is not a choice. Racism is a choice. Even if a person may have been raised in a culture where there are no other options, the can still be educated to a point where their mind is changed. The same cannot be said for sexuality. Why in the fvck are you co.mparing racism and s3x.ual orientation???????? The race you are is not a choice. The s3xuality you have is not a choice. You were born with both. Racism may not be a choice for someone raised in a very racist environment. Di.scrimination against h0.m0.s3.xuality may not be a choice for someone raised in a very bi.g.o.ted environment. Both are products of nurture and experience. Your comparison only confuses the issue, which is the pro.p.e.nsity for both atheists and Christians to shrilly jump to the conclusion that SEEMS right from the general pers.p.e.ctive and the prop.e.nsity for both atheists and Christians to "other" those who don't agree with them. I find that atheist are about as quick to prematurely judge a situation and use co.n.f.irm.ation bias and s.u.c.c.u.mb to hypocrisy as the Christians are.......and when pressed on these issues, to ob.f.u.s.c.ate and back-peddle in about the same manner. 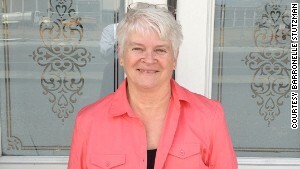 I think the larger point i'm making that is being overlooked is the difference between a public business that went and applied for a public business license like "Arlene’s Flowers" and an individual like Barronelle Stutzman. She may have been the one to go get the license but it was for a public business not for an individual. The individual can believe anything they want and are not forced to do anything they don't want to other than to obey the law and to pay their taxes. The law does not say if you are an individual you personally must like and serve black people or gay people, it does say that if you are a business open to the public with a business license granted to you by your local government then you cannot discriminate against a person because of their gender, age, race or s exual preferences. This is a very large distinction that is being largely ignored but is really the crux of the issue. Individually we can hate all we want, and we can harbor that hate forever if we choose to, no law against that. 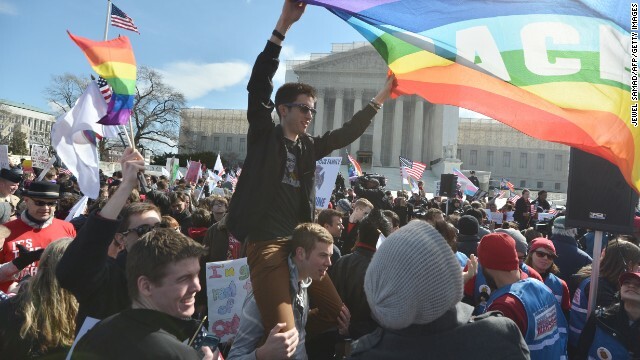 But when it comes to setting up a public business that must abide by many laws and ordinances like how large signage can be or what color awning you can have, then no, you do not get to discriminate against anyone you choose as you did as an individual. This is also why I disagree with the citizens united ruling allowing corporations to be considered people when it comes to campaign donations. A corporation is not a person, it get special tax exemptions that are different than an individual and has different requirements on it than does an individual. There are clear and real differences between what individual rights and a corporation or businesses rights which are (and rightly so) limited under the law. "Racism may not be a choice for someone raised in a very racist environment. Both are products of nurture and experience. " So what you are saying is that THEY ARE NOT BORN that way as are people of color or with different s exual preferences, but are CREATED by racist parents who are attempting to continue a cycle of abuse. This means that the damage is likely not permanant and thus they can benefit from a "Pray the Racism Away" program. Look, there is a huge difference between refusing a service you already provide based on discrimination, such as this flower lady, and forcing someone to provide a service that she never had before, such as sewing KKK costumes. All she has to do is say, "I'm sorry, I don't provide those services". As in, to anyone. Now there may be sticky problems if she sews costumes for other people, or whatnot, but walking into any seamstresses store and demanding a service she has never previously provided is like walking into a shoestore and demanding they shoe your horse. You're so far off on your own red herring trail, you're not even arguing the point under review. I'm saying that if the one article never came out, but the article about a costume maker being forced by the federal government to make costumes she finds extremely offensive against her race, many atheist would be on the opposite side of the same issue as here. I'm convinced that if somebody with enough courage to bring up the alternate point (such as a hypothetical that looked like the actual story reported here with the florist) those same shrill, religious, reactionary atheists would say that would be tough luck for the h0m0s3xual wedding customer. Of course we can't know this because the story about the discriminatory florist came out instead of the hypothetical one. My point is that athiests are just as reactionary, shrill, and bigoted against those that disagree with them in ways that are often just as hypocritical. And none of the responses I've read, here, seem to alter my theory on that point. This whole "what if" is silly. If anyone is discriminated against, refused services, no matter who or how odious they are, the business owner should be prosecuted. I said this a few pages back. I stand by that. "My point is that athiests are just as reactionary, shrill, and bigoted against those that disagree with them in ways that are often just as hypocritical. And none of the responses I've read, here, seem to alter my theory on that point." I would agree with you if you would just add "My point is that SOME athiests are" I do think that it would not be a majority of the ones I have read which seem to be far more sensible and less reactionary then SOME of their Christian counterparts. I was simply trying to point out that SOME atheists like myself don't have a problem with the current laws against discrimination and I do think that whether it's a Christian who refuses to sell flowers to gays or a black woman who refuses to sell flowers to whites or a member of the KKK that they should be required to provide the services they say they offer to all persons. Akira, your remark about how long someone has been in business is irrelevant, and I've already shown you that. You could just as easily have assumed that both have been in the same business for the same amount of time and the services were somewhat typically offered on a day to day business. It's eatin' time, so I'm off to lunch. Thanks for agreeing with me on something! Calling someone a hypocrite is ad hominem, mud-slinging, and name-calling because it is a charged word with a negative connotation. Name calling is not an argument. Even if the name-calling is true, it is still irrelevant. For example: if an alcoholic says 2+2=4, the fact that he is an alocholic, and was called an alcoholic by a rival, is irrelevant to the fact two plus two equals four. Calling someone a hypocrite is a red herring because it draws attention away from the merits of the topic at hand. It is beside the point. A distraction. Calling someone a hypocrite is ipse dixit because calling someone something does not make that someone that something, if there is a rational explanation as to why that someone is not that something. For example: calling someone an elephant does not make that someone an elephant, and a DNA test can be done to prove this. I suppose it's more fun to call people hypocrites than it is to understand why they are not, just like once upon a time it was more fun to burn witches than it was to defend them. You do not demonstrate an understanding of what makes a logical fallacy. Calling someone a name is not always ad hominem. Calling someone a hypocrite is not always ad hominem or a logical fallacy.Calling someone a hypocrite is not always a red herring and on and on and on.. For a fallacy to be a fallacy, it has to have a very defined relationship to the argument being put forth or rebutted. More research required on your part. If the alcoholic was saying "2+2= 4 and the way I live is better than the way you live" then it would be quite right to respond "Yes, 2+2=4 but you are an alcoholic so I will not be following any other advice from you about living." You are trying to make the point that no matter how hypocritical a Christian might be about claiming to just be following scripture when it comes to gays but then ignores so many other scriptures that are inconvenient for them, their message about gays is valid somehow. That is the definition of hypocrisy. To call someone a hypocrite is not using it as a slur when they are hypocrites, they are just stating a fact as unpleasant as the fact may be for the hypocrite. Perhaps this is the real problem, then, Jason. You find information that appears at first glance to back up your preformed opinions and you go with the rationalization of "it seems reasonable to me." I know for a fact that most Christians do this when it comes to interpretation of biblical passages. They already have a preformed opinion about god and what a person should do to please god, and so when they run up against something troubling (research "cognitive dissonance") in the bible or in reality, they find any old interpretation of any old phrase or verse in the bible and.........well...... it's good enough for me, for now, for this situation. And that's all the thinking they'll do on the matter. It's not rigorous enough for the disciplined and courageous critical thinker. The lying, adulterous man decrying SS marriage and actively trying to legislate against it because it isn't "Biblical", all the while breaking Biblical commandments concerning his own marriage, is indeed a hypocrite. 2. Print out the post above by "Just the Facts, Mom" and read it every day for about two weeks. Put it on your mirror or something. Classic! So is someone is a liar, that is "irrelevent". Typo. Obviously should say "So if someone is a liar, that is "irrelevent". Thank you for being reasonable and agreeing with me. "Now you'll have to change your opinion (and become incorrect on the issue) to keep from agreeing with a person you consider to be oblivious." No, I can just say sorry about that Captain Oblvious thing. If you can give me the rare agreement, I can give you the rare apology. If a smoker tells you that you should not smoke because it is bad for your health, his message is still true, even though it sounds hypocrticial coming from a smoker. Just because someone's words seem hypocritical doesn't mean they are not true. "Just because someone's words seem hypocritical doesn't mean they are not true." That is correct, you can have a hypocrite give you accurate information, but that doesn't mean they are not a hypocrite. Agreed. You are correct, Jason. Too bad you've labeled be "oblivious" or you could feel good about me agreeing with you. Now you'll have to change your opinion (and become incorrect on the issue) to keep from agreeing with a person you consider to be oblivious. I agree, hypocrite as an accusation of debate is rarely to the point. Hypocrisy is significant when people use an international forum to tell people, in effect, that they are such lowlifes that they deserve to spend eternity burning in hell for not believing all of a book that they don't believe all of themselves. Yep. Still hating bigotry, discrimination, and hypocrisy. Just mess in with you. Changing ones mind is not hyprocrisy. I think that is quite a complete definition of most Christians I know. They talk a big game but fall apart where the rubber meets the road. I know dozens and dozens of Christians who have no problems lying and cheating on their taxes (they reason all sorts of things to make it work in their heads) or their wives (can always just ask for forgiveness, right? ), but they are just disgusting hypocrites. My father was one of the biggest hypocrites i've ever known as a pastor of a local Congregation in a Columbus suburb, always telling people how to live but never following his own advice in private. I got to see behind the curtain and was groomed to be the next leader but just couldnt stomach the level of deceipt needed to run a congregation or any Church for that matter. Anyone who has been on the inside of operations of any Church large or small will know what I mean, the rest of you will likely remain floating blissful ignorance of what is going on behind the closed doors of your religion. It's a fallacy to call people hyprocrites (or witches, for that matter) when it can be shown they are not. Not necessarily. Not all "lies" are fallacies. In order for a falsehood to be a logical fallacy it must be constructed in a certain way and have a certain bearing on the argument being presented. You don't know much about logical reasoning and logical fallacies, do you? Just pointing out fallacies, that's all. It's what everyone else does. An I not allowed to do what everyone else does? What fallacy? YOu simply made an observation about someone's writing style. Some things that are called hyprocrisy can be shown not to be. So what? You made a comment about somebody's style of writing. That's not pointing out a fallacy. Do you always non sequitur this badly? Captain Oblvious is more like it. Captain Oblivious is more like it. Actually, you are not pointing anything out. You asked a question "Is Observer even operating under satisfactory and rational definitions of what "hyprocrite" and "hypocrisy" are?" and the answer is a resounding "No." He is hitting the proverbial nail on the head, it's just that you don't like being hit on the head with rational thinking. So wait, are you a Christian, Jason? I ask because of your knee-jerk response to my obvious corrections of your obvious mistakes. You said that many things claimed to be hypocrisy really aren't (I noted that there was a good reason many Christians are called out on hypocrisy). Since I've corrected you on several rather silly and obvious mistakes, it doesn't seem that I'm the oblivious one here, does it? You'd think an all-powerful god would be able to muster up a few followers with better command of logic and proper argumentation. For some reason, my lengthy explanation didn't get posted. That wasn't evidence of absence. Maybe you ran into the tricky word filter. Is Observer even operating under satisfactory and rational definitions of what "hyprocrite" and "hypocrisy" are? Or has he just been conditioned like a dog to use such terms in a mindless, knee-jerk way when dealing with Christians? Christians tend to be very hypocritical on such boards as these because they are usually outspoken about something their god or bible "commands." However, the bible says so many weird and contradictory things, that usually that outspoken Christian is not paying attention to other parts of their bible or their belief that directly contradict their opinion that they so loudly share. Other Christians or atheist are right to call such bl.o.wh.a.rds out on their stupidity which also happens to highlight their hypocrisy.